Enriching the lives of young ones through education, mentorship, and recreation. Claire B. Lang is a motorsports talk show host. Since 1996, she has reported for NASCAR. She is currently the host of XM Satellite Radio's "Dialed In." She was one of the first women to become a sports radio host.To many young females in "Claire's Crew" she is an inspiration. "I was so happy that I got to meet Susana and Jennifer who are two seniors from ED W. Clark high school in Las Vegas. 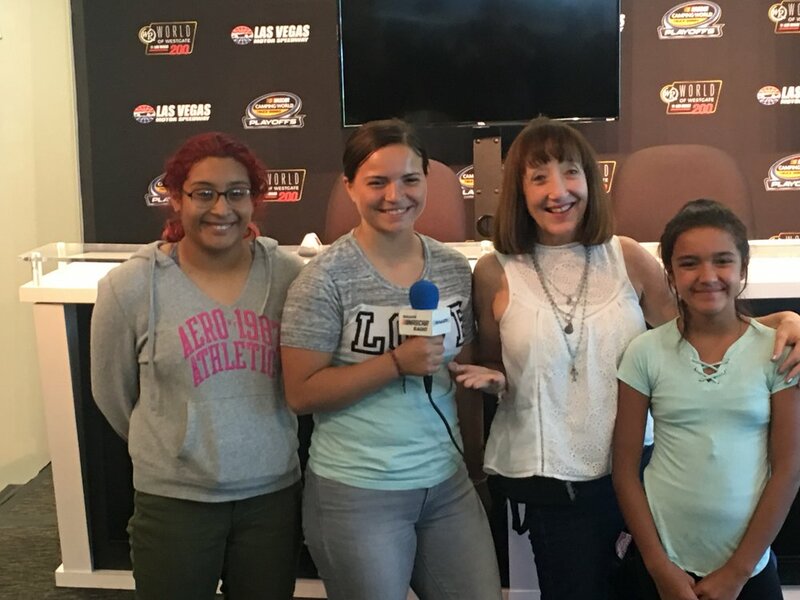 They were my guests at Las Vegas Motor Speedway - I was able to show them the studio that I work out of at the track - and chat for a while thanks to the Fuel for Success program. We talked about being confident - about not assuming that those who are more successful than us were not scared when they first started too - and about making sure you have a strong and confident voice when asked questions so that people can hear and appreciate what you have to say. I am not talking about being over the top - or putting it on - but just not looking down and answering meekly when people ask you a question... It's so important to show your confidence in the way that you clearly speak in a voice folks can hear. Susana and Jennifer rocked the interview I did with them in studio.....These students are shining stars! Give the interview a listen above." 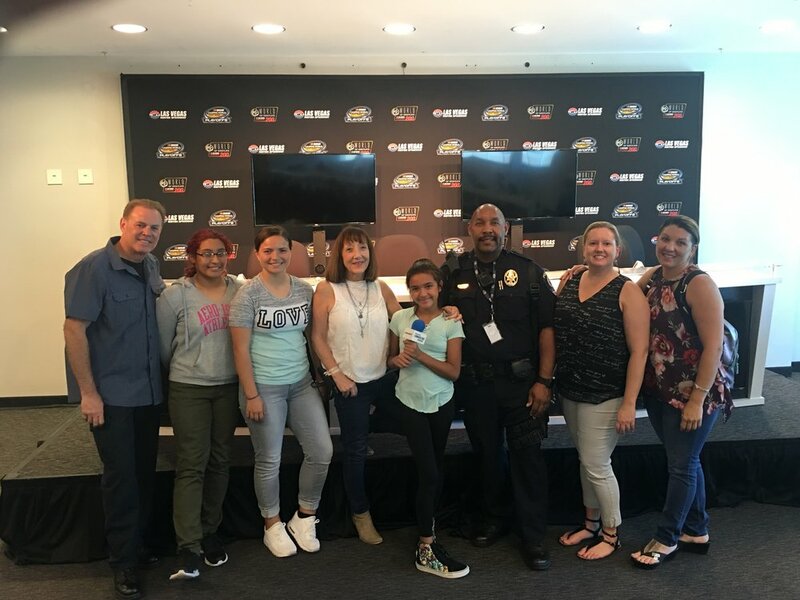 Special thanks to Officer Anthony Cooke and Officer Robert Mayer for escorting the girls to the speedway. 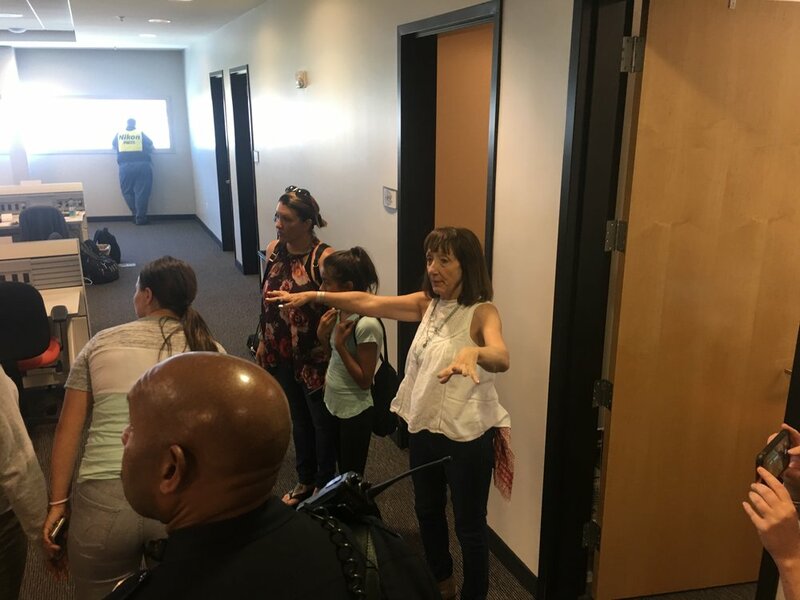 A growing poverty rate, poor-performing schools, and teen violence make it tough to be a girl growing up in the United States. Claire's Crew is Reaching out and influencing lives of a young girls in many U.S. communitites. Stay in touch with our monthly newsletter for your inbox.